Oregon Bill to Study Legalization Advances. A bill that would direct the state Department of Justice to examine laws to see what changes would need to be made in the event of marijuana legalization passed the House Judiciary Committee Wednesday. That bill is House Bill 4099, which now moves to the Budget Committee. This is not the bill that would have the legislature put an initiative on the November ballot. That bill is Senate Bill 1556. Slight Majority Supports Legalization in Rhode Island Poll. A Public Policy Polling survey commissioned by the Marijuana Policy Project has support for legalization at 53%. The poll also found that 38% thought marijuana was safer than alcohol, compared to 21% vice versa. Another 21% thought the two were equally dangerous, while 20% said they didn't know. Click on the title link for the poll results. Alabama CBD Bill Wins Committee Approval. The Senate Judiciary Committee Wednesday approved a bill that would allow for the use of cannabidiol (CBD) for certain medical conditions, including seizures, severe or chronic pain, or "any other condition that is severe and resistant to conventional medicine." The bill is Senate Bill 174, which now goes to the full Senate. CBD Bill Filed in Kentucky. State Sen. Julie Denton (R-Louisville) and eight cosponsors Wednesday filed Senate Bill 124, which would allow the use of CBD cannabis oils for children with epilepsy. Public Hearing Next Tuesday on Oregon Local Control Dispensary Bill. There will be a public hearing in the Senate Judiciary Committee next Tuesday on Senate Bill 1531, which would allow local government to regulate or ban dispensaries. The bill is supported by associations of state city and county governments, but opposed by medical marijuana supporters. The legislature voted last year to approve a system of statewide dispensary regulations, which will begin to take effect March 1. Americans for Safe Access Seeks Petition Signatures to Boost Effort on Organ Transplants for California Medical Marijuana Patients. Americans for Safe Access is seeking to show support for possible legislation protecting California medical marijuana patients who may need organ transplants. Hospitals and doctors have been reluctant to okay transplants for medical marijuana patients, whom they deem drug abusers. Click on the title link to get to the petition. Rhode Island Attorney General Chides Dispensary on Advertising. In a Wednesday press release, Rhode Island Attorney General Peter Kilmartin chided the Thomas C. Slater Compassion Center for recent email advertising campaigns offering discounts and special holiday packages. "Can you imagine the public outcry if the local pharmacy started offering [half] off Oxycontin or medicinal drugs?'' Kilmartin said. "Compassion centers should be held to the same standard and should be prohibited from offering discounts or sales on medicinal marijuana.'' The dispensary said it would stop advertising its products. Uruguay's Marijuana-Legalizing President Mujica Nominated for Nobel Peace Prize. 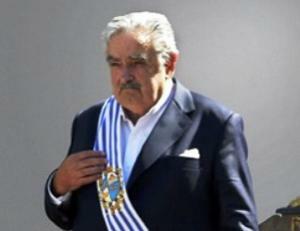 Uruguayan President Jose "Pepe" Mujica has been nominated for the Nobel Peace Prize. He was nominated by members of his own Frente Amplio political party, as well as a Dutch NGO, the Drugs Peace Institute. His supporters cited his pioneering policy of legalizing and regulating marijuana commerce. Australia's Victoria Plans Construction Site Drug Testing; Union Strongly Objects. Victoria Premier Dennis Napthine said Thursday he would require construction companies to implement strict alcohol and drug testing policies to qualify for government contracts. The main construction union, the Victorian Construction, Forestry, Mining, and Energy Union (CSMEU) condemned the move as a "slur" on construction workers, saying there was no evidence that people in the industry had any more drug problems than anybody else. Iranian Meth Offender Survives Execution, Gets Sentence Reduced to Life. An Iranian man who was revived in the morgue after being hung for possessing a kilo of meth has been granted a reprieve by the Iranian amnesty commission. The man, identified only as Alireza M., 37, instead will now be sentenced only to life in prison. The man's revival after execution raised thorny questions for Iranian jurists and clerics about whether he should be re-executed or not. Drugs have always been a big bonanza for state and companies alike throughout history. Think about tobacco, alcohol or even coffee and sugar. The current drug laws on Marijuana / cannabis are from a time when racism and segregation of darker skinned peoples was common place. Does it seem right to you we still have medieval laws on cannabis?